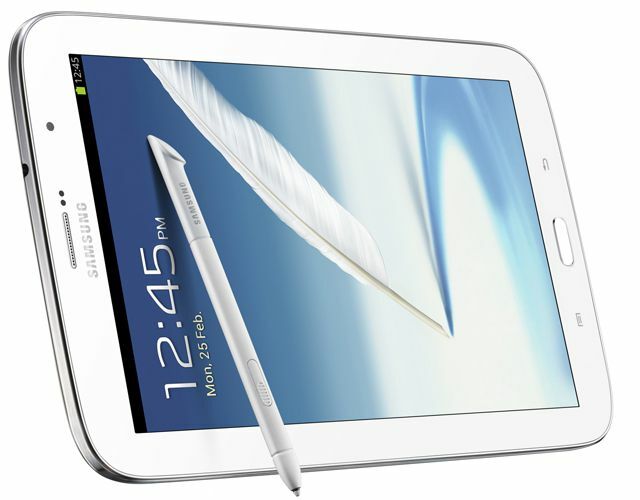 Samsung announced the launch of new 8-inch tablet, the Samsung Galaxy Note 8.0. The Galaxy Note 8.0 has 1.6 GHz A9 Quad-Core processor, 8-inch WXGA TFT display, 2 GB RAM, 5 MPG Rear camera and 1.3 MP front camera. The device runs on Android 4.1.2 Jelly Bean and it comes with S Pen. The Samsung has optimized the S Pen and make it more intelligent. Removing the S Pen from the device will automatically launch innovative features such as Pen Detection that will suggest adapted menus that it thinks you’ll need and Page Buddy, a feature that will intuitively activate your most recently adapted S Note home screen. S Pen technology is now so advanced that it doesn’t even have to touch the screen. With Air View, the S Pen needs only to hover over the screen to see previews of videos, emails, photos and appointments on SPlanner without opening the file or application in full. S Pen Gesture allows images and content to be easily edited and cropped, whilst Paper Artist and Photo Note allow photos to be artistically personalized. Flipboard developed a customized version of its application exclusively for Samsung that allows users to take the S Pen’s hover feature and preview article headers beneath Flipboard’s main screen tiles. And Yes Samsung Galaxy Note 8.0 supports the Dual View feature that allows users to work on two different apps at the same time. The Samsung Galaxy Note 8.0 will be available from Quarter 2 of 2013 worldwide.